People often let me know when they see Star Wars merchandise, since they know that the boys are such big fans. 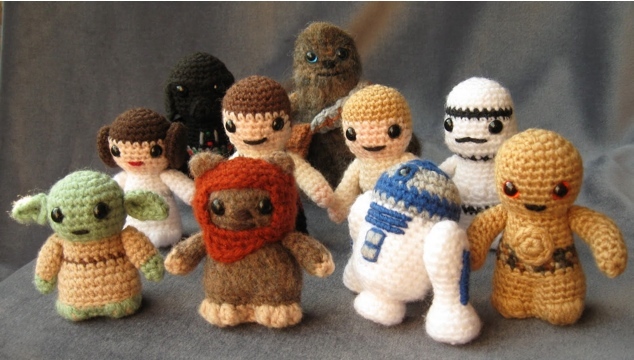 Cutest Star Wars ever, right? My nephew would love this set. His groom cake was topped with his Star Wars figures as a surprise to his parents. Just a little reminder that he was old enough to be married, but never too old for Star Wars.